I love taking senior photos! This lovely lady would soon be graduating from Sky View High School in Smithfield Utah. When she asked us to take her senior portraits, we were excited to help her out because she is a fellow photographer. We always feel honored to be asked by other photographers to take their pictures. There are so many things I love about his photo. 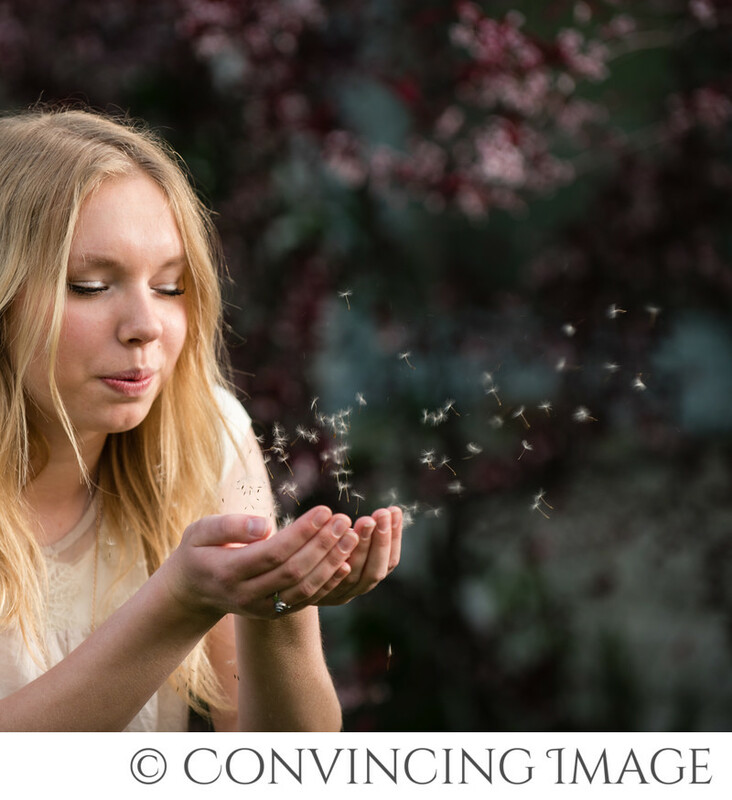 She wanted to blow dandelion seeds, but didn't want it to look like every other picture out there. For starters, I love the flowering tree bokeh in the background. It creates the perfect touch with the coloring and softness. I also love the way the dandelion seeds almost sparkle. How did we create that effect? Not in photoshop. We used an off camera flash (slightly to the back on camera right). It looks like the sun created that soft lighting on her face and the seeds, but no, it was the flash with a softbox on it. The soft lighting had a dreamy quality to it... in fact the whole picture is pretty dreamy. Again, that isn't photoshop or photo editing. We did very little editing to this photo! The final product is very similar to what we saw on the back of the camera. Keywords: Girls Senior Photography (3), Logan Senior Photographer (3), Senior Photography (3), Utah Senior Photographer (3).